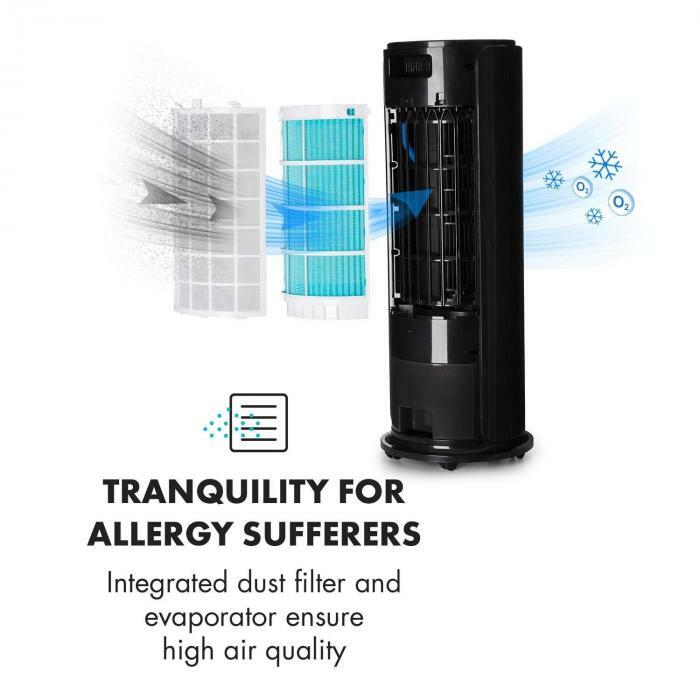 Not only does the Klarstein Skyscraper Horizon distribute fresh air, but it also cools and moisturizes it: Cool water stored in the generous 3.7 qt reservoir evaporates into the air stream for hours, reducing the temperature in the room and also increasing the humidity for relaxed and healthy breathing. 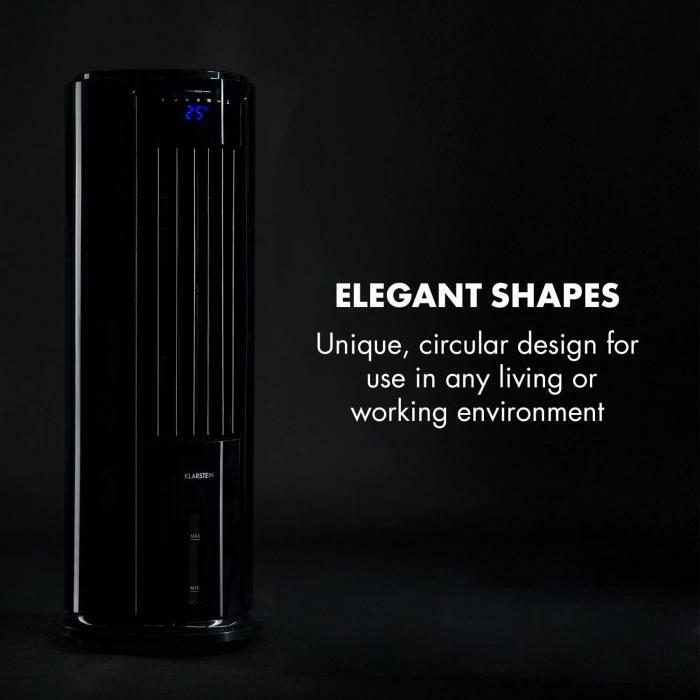 With its rounded shape, the Klarstein Skyscraper Horizon sets new standards in terms of appearance, and abandons the dull shapes of conventional devices. The correspondingly modern control panel gives easy and intuitive access to all functions. It seamlessly fits into a variety of settings such as the living room, bed room and office. In addition to the standard mode of operation, the innovative nature mode recreates the natural ebb and flow of the wind, while the sleep mode gradually quiets the fan during the night. Both functions are based on the set wind speed and can be adjusted individually. 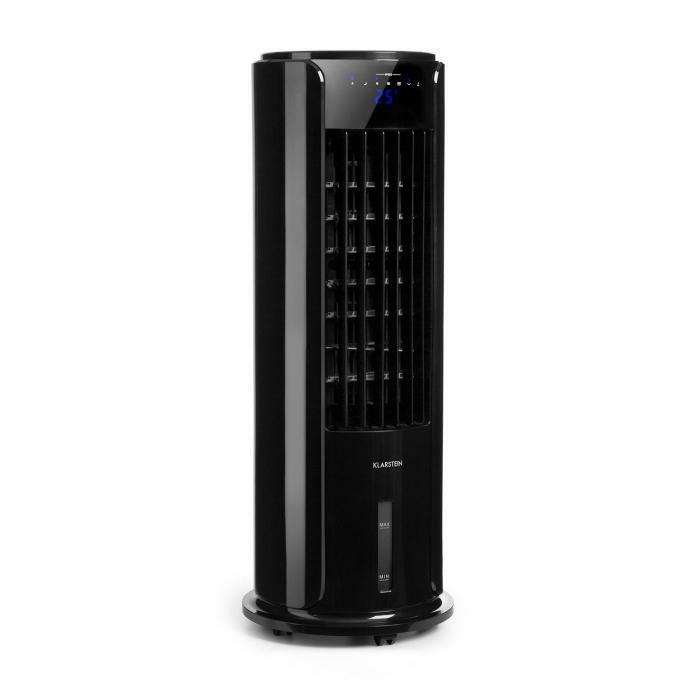 The powerful Klarstein Skyscraper Horizon fan moves up to 665 ft2 of air per hour on the highest of the 3 power settings. 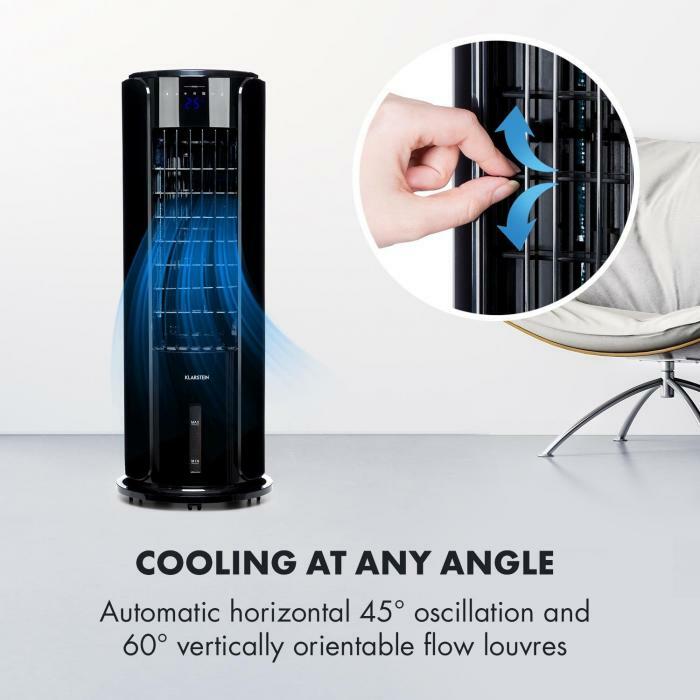 Its 60 ° vertically adjustable outflow slats and a switchable 45 ° oscillation ensure optimum distribution of the airflow in the room. On top of that, the unit comes with a freezer cooling pack, which increases the cooling capacity in an energy-saving way. The Klarstein Skyscraper Horizon is very easy to operate, as all settings are controlled via the front panel or with the included remote control. The water tank can be removed easily, allowing for simple refilling under the faucet (no need to use the watering can! ).